The Lake Como is clearly the most distinctive feature of the whole area: it is 46 km long and has a width which varies from 4,3 km (between Cadenebbia and Fiumelatte) and 0.43 km (between Torriggia and Careno). The lake covers an area of 146 sq km and has maximum depth of 410 metres. It has two dependables winds known as the Breva and Tivano. The lake is surrounded by both high mountains and gentle hills; some narrow and impassable valleys and others which are wide and mild; densely populated plains; still untouched woods, small suburbs and big towns; lake and mountain villages; raging torrents and big rivers. 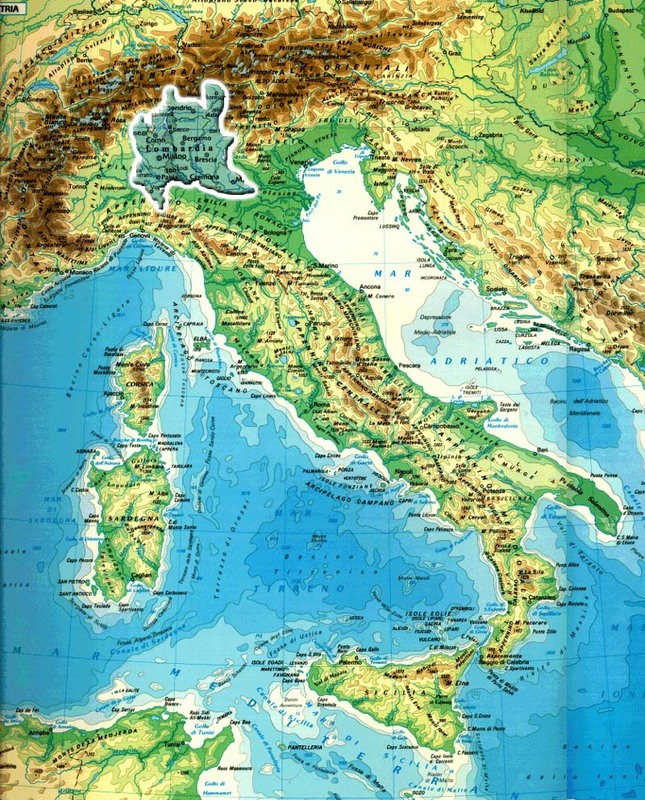 The territory - which is now divided into two provincies, Como and Lecco has always been an area of intense activity, being a crossing point between Central Europe and the Mediterranean. The incluences of different cultures has been a stimulus to the local inhabitants, creating a fascinating artistic tradition. With its tiny villages stacked perilously up the rocky slopes overlooking the lake, its lakeside resorts known the world over for their glorious settings, immersed in a natural environment of great beauty and exceptional conservation, for centuries the area has remained the favourite haunt of the selective traveller, coming over the Alpine passes to visit the Italian heartland.The sumptuos residences that spangle the waterfront hillsides and the Brianza district south of Como itself bear eloquent witness to the province's enduring appeal over the centuries, their lush gardens endowed with scattered monuments of great beauty. The lake's geographical location ensures an eco-climate of its own, with a mild winter that permits a vegetation unusual for such a latitude: here grow rare species of tropical plants alongside laurels and olives. During the 19th century Lecco developed from a small village to a large industrial centre (maingly based on iron working) and became the capital of a rich and industrious province during the last decade of the 20th century. Though fundamentally a modern town it has many interesting monuments, both ancient (e.g. the Visconti Bridge and Tower) and modern (e.g. the buildings of Mario Cereghini). 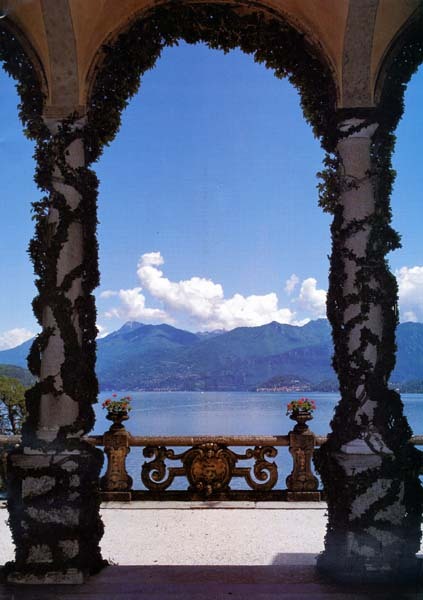 It is also famous as the centrepiece of Alessandro Manzoni's masterpiece "The Betrothed" which weaves its story into the landscape of the local mountains and lakeside. Como has been hegemonic centre of a wide area since pre-history. The city was rebuilt by the Romans and played a fundamental part in maintaining communications both northwards through the Alps and southwords towards Rome. In modern times the city has become an important manufacturing centre for textiles and a tourist centre. Como preserves important monuments from each important era of its history. Its Gothic-Renaissance cathedral was completed in the 19th century with the dome of Filippo Juvarra and is rich in paintings and sculptures. Among the famous sons of the town are the two Roman Plinys and the great scientist Alessandro Volta, who invented the battery in the 18th century and has given his name to the unit of elettricity - the Volt. 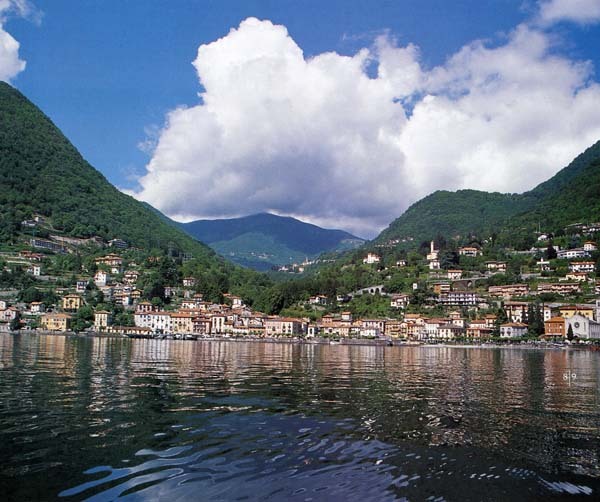 A section of Lake Lugano lies in the Como province, a fascinating area where a number of valleys meet. Each of them has its own history and traditions. Facing the Ceresio is Campione d'Italia, a small Italian enclave in Switzerland, famous for its Casino. 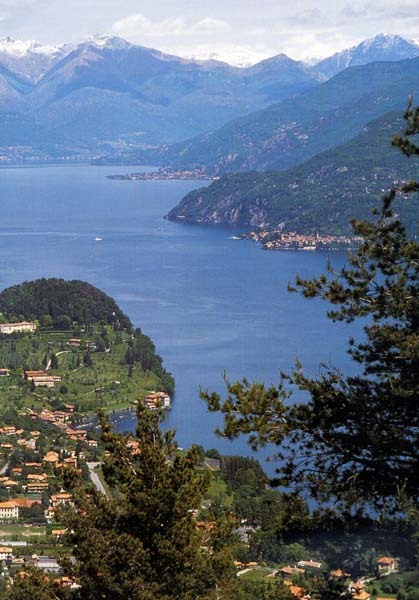 From Cernobbio to Isola Comencina (Como's only island), the western shore has much to offer to the visitor: hotels of different categories (all of them comfortable, some of them world-famous), churches in splendid position, century-old gardens and parks, old and modern buildings. Walks in the mountains above the lake offer the chance of crossing the border of Switzerland. 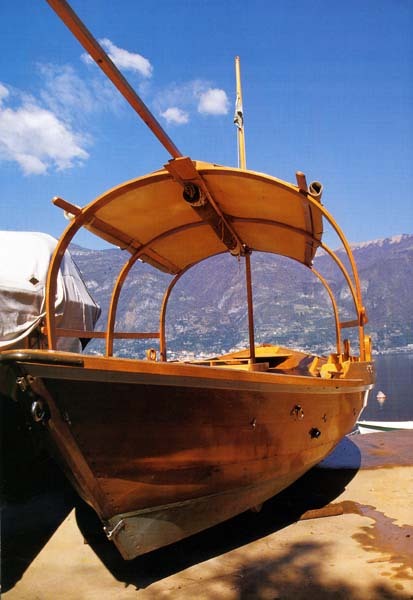 The provinces of Como and Lecco offer opportunities for every kind of sport, particular those practised outdoors, given the natural presence of the lakes, such as windsurfing, canoeing, water-skiing; other sports include golfing, horse-riding, hang-gliding, cycling, and not least skiing. Complementary to the spirit of variety that characterises the local landscape and history, the area's museums are likewise highly varied in scope, including an archaeological museum testyfing to the Etruscan and Roman settlements, and a well-furbished art gallery. Other testaments to the past document the silk trade, the hand-built lakeman's skiff, and an odd "sanctuary" of the bicycle, in loving memory of cycling heroes Girardengo, Coppi, and Bartali. Discerning diners and lovers of good food will find three quite separate traditional cuisines, each one with a distinct accent that belies their geographical vicinity: the lake cuisine (based on fish), the traditional valley cuisine (based on polenta, or maize porridge), and that of the Brianza plains, with its lusty meat dishes.